You send your child off to school to get an education, but there's no way your child can be a successful student without the proper nutrition. Middle school can be an especially demanding time for students. In addition to all the rigors of academia, tweens now have to deal with puberty, emotional ups and downs, and a slew of other changes. But a healthy packed lunch can give your child the fuel he or she needs to power through the day. A lunch packed with nutrition in mind is sure to be way better than any cafeteria food the school might provide. 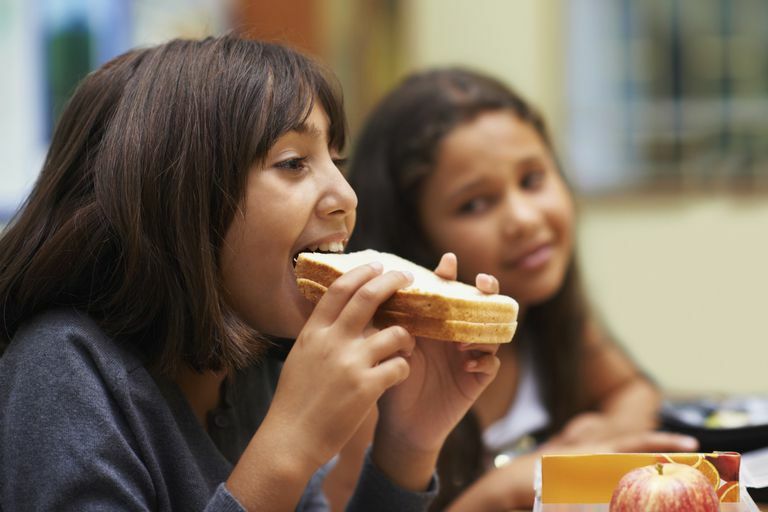 These six tips will teach you how to pack a healthy lunch that your tween will actually want to eat. Keep the temperature in mind. Any lunch you pack will have to maintain the proper temperature so that food poisoning doesn't become a risk. Keep cold foods cold and hot foods hot. Take advantage of any sales to stock up on ice packs and at least two thermoses. Make sure your tween understands that these items should return home after use so they don't accidentally end up in the cafeteria trash can. Say no to soda. Soda and other sugary drinks can completely ruin an otherwise healthy lunch. Water should be the beverage of choice. Juice is OK on occasion. Just make sure you read ingredient labels and pick something that is 100 percent juice, free of added sugar or high fructose corn syrup. Think fruit. A piece of fruit in your child's lunch is a great alternative to cupcakes and cookies. Think of it as a natural way to satisfy their sweet tooth. Grapes, berries, apples, oranges, and bananas pack well in a lunch tote. For optimal flavor, choose fruits that are in season. Consider packing a small container of caramel or chocolate sauce for dipping. You could also pack fruit chips instead of potato chips. Veggies work. So many parents make the mistake of assuming their child won't eat vegetables because children don't like vegetables. But veggies are at the very core of a healthy lifestyle, and if you take the time to present veggies in a fun way, you might surprise yourself. Considering packing vegetables that can be dipped in ranch dressing, like carrots, celery, radishes, and broccoli, or celery and a container of nut butter. You could also pack a salad complete with plenty of veggies, diced turkey, and a light dressing, or swap salad for a pasta salad full of veggies, cheese, and diced meat. Don't neglect your leftovers. Last night's dinner could be today's lunch. Spaghetti with marinara sauce, soup, homemade chili or any other meal that packs well is sure to keep your child nourished until dinnertime. Don't forget about calcium. Growing tweens need calcium to build up their bones. If your child is a milk drinker, send along a cold carton of milk. For tweens who don't like milk or are lactose intolerant, consider a calcium enriched substitute or lactose-free milk. Rice milk, almond milk, and soy milk can provide your child with the essential nutrition he or she needs. Yogurt and cheese slices are other great options. Just be sure to pay attention to sugar content.